This looks like a great event and just a hop across the water via Gold Coast (56km south). 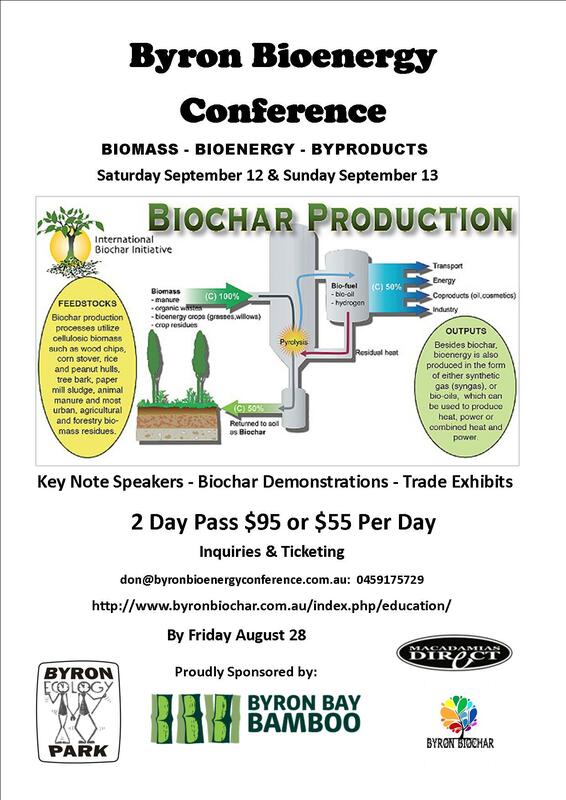 After two successful Bio-charfest’s at Mullumbimby, I would like to invite you to Purchase Early Bird tickets 15% off before midnight tonight to this year’s Byron Bioenergy Conference at Byron Eco Park, Tyagarah on Saturday September 12 & Sunday September 13. The Key Note Speaker and Demonstration Programme will fall under the headings of Biomass, Bioenergy & By Products with a particular focus on Biochar Production. 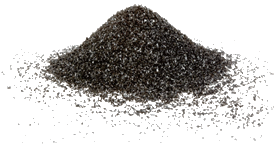 Featuring “The Biochar Movie”, the story of a couple that moved into the middle of a flailing forestry plantation to start a Biochar Project and how their grass roots style of living has changed things forever. Also featuring Doug Pow, the Avocado, Dairy & Beef Farmer from W.A. who has been feeding his cows biochar for four years and has witnessed both economic and biological outcomes far beyond his expectations!! As well as this we have Kaye Wood from Byron Bay Bamboo, Bob Doyle, the largest grower of Industrial Hemp in Australia who has just bought the Old Timber Mill at Dungog to make Hemp Pallets. Euan Beaumont from Energy Farmers Australia, Dr Joe Herbertson, the Award Winning Engineer of the “Continuous Biomass Converter”, World Leading Soil Scientist Dr Lukas Van Zweiten from NSW DPI, Dr Stephen Joseph (visiting Professor of 5 Universities) will demonstrate the new Kontiki Kiln which is taking the World by storm and Chad Sheppeard, Director of Wood Vinegar Australia, whose Company is rolling out an exciting Agricultural Biochar Water Product, PyroAg across Australia.